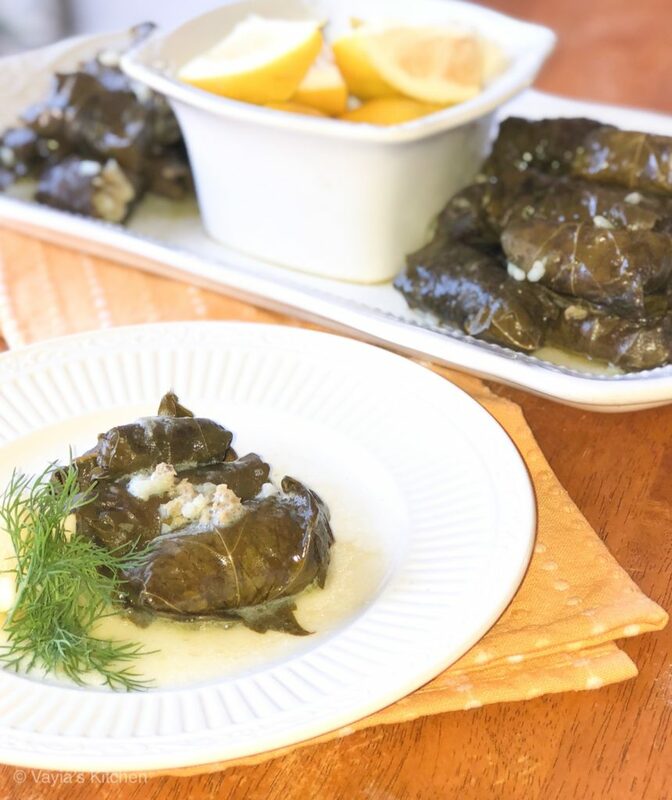 Affectionately referred to in our home as “little bundles of heaven,” Greek Stuffed Grape Leaves with Meat and Rice (also known in Greek as “Dolmades”) are a classic Greek side dish/appetizer. 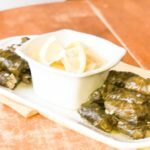 They’re made with rice, onion, spearmint, and dill, (ground meat is optional) and rolled into palm-size grape leaves, and steamed until tender and juicy. 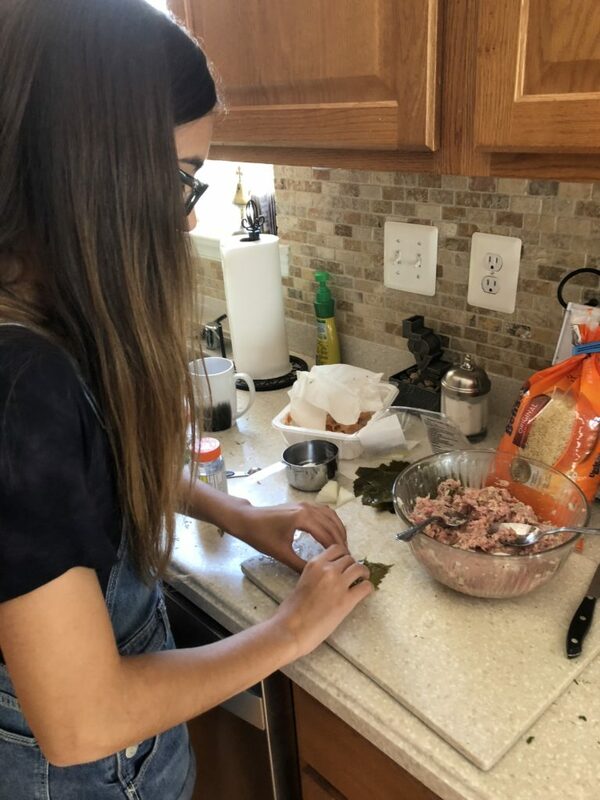 My daughter, Sophie, was very interested in learning how to cook some of our family’s traditional Greek dishes this past summer. 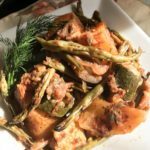 What could be more fun than sharing the kitchen with your teenaged daughter? 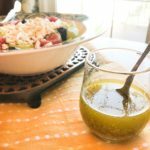 It’s true that there is a bit of prep time involved in making Greek Stuffed Grape Leaves (Dolmades), but it’s worth it! The mixture is exactly the same as in my recipe for Lahanodolmades Avgolemono (Cabbage Stuffed Grape Leaves). 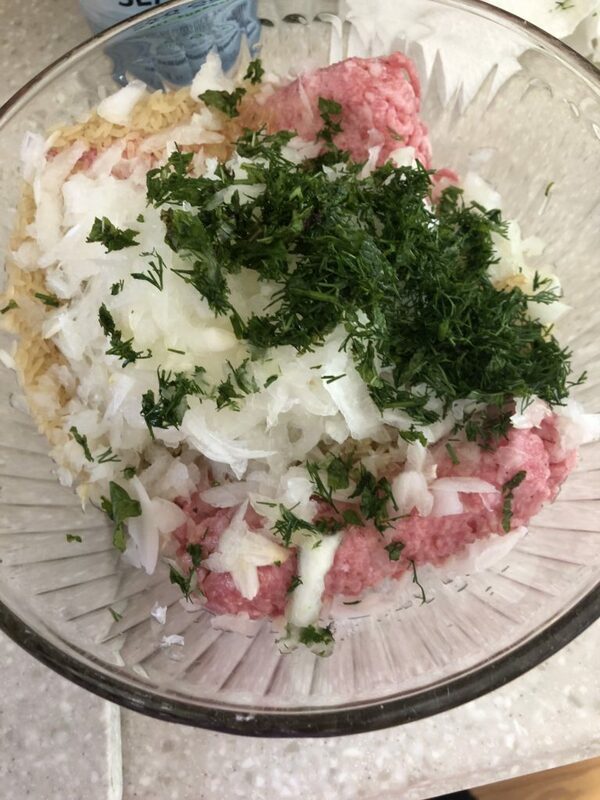 Throw some dill, spearmint, ground turkey and onion together and you’ve got a delicious filling! Thoroughly rinse and drain the grape leaves and set aside. 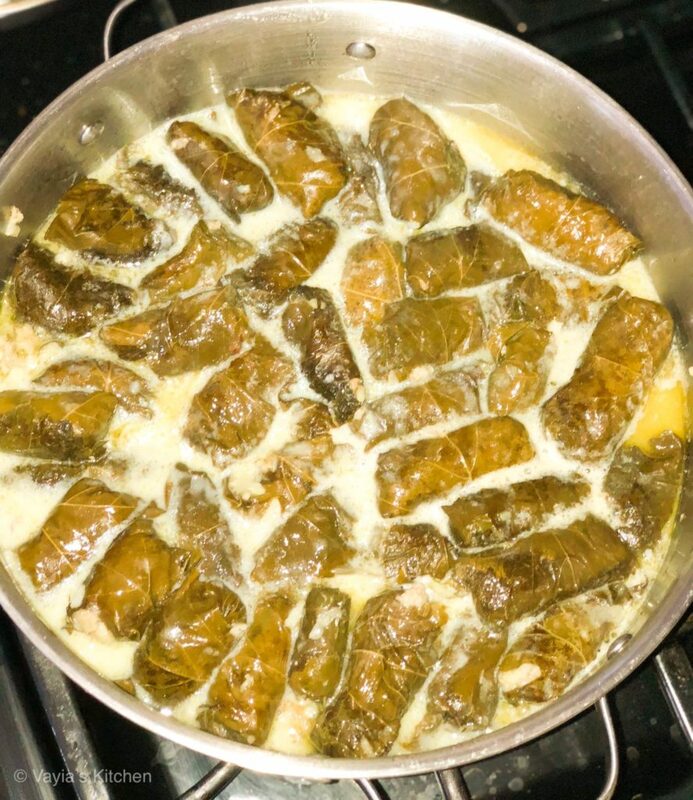 Prepare a dutch oven by placing several grape leaves on the bottom to form a layer. 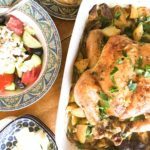 In a large bowl, combine all the ingredients in a bowl, except for the lemon and chicken broth. 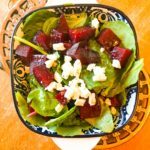 Starting with a single grape leaf, place a tablespoon of mixture at the top of a leaf, about an inch toward the center Fold over, fold in sides, and roll! Place seam-side down in the pot. 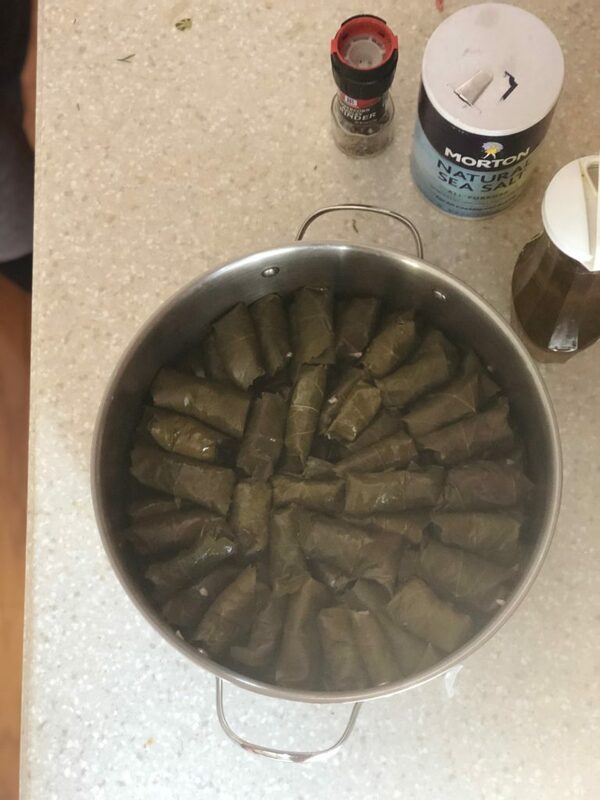 Continue in a single layer all the way around the pot, and then build a second layer, until all of the grape leaves are used up. Squeeze the juice of the half lemon over the dolmades. Pour the chicken broth over the dolmades until they’re covered. If there is any filling left over, add to the pan. 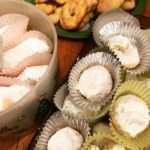 Cover the dolmades with a small flat plate to keep them submerged. Put a lid on the pot, and bring to a boil. Then lower to simmer and cook for about 50-55 minutes until the dolmades are tender and the rice and meat is cooked through. Prepare the Avgolemono Sauce by beating the two eggs until frothy. Add the lemon juice and beat some more until combined. Add juice from the pot of dolmades to egg/lemon mixture and beat until combined. Then, add the mixture to the pan. Gently shake the pan to distribute the mixture. 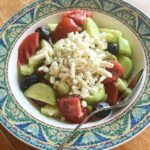 Serve with a Greek Salad and crusty bread for a simple meal, or as a tasty appetizer. 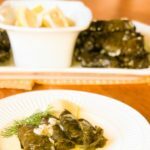 A classic Greek recipe, Stuffed Grape Leaves with Meat and Rice (Dolmades) are a delicious appetizer. 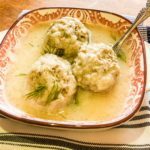 Ground turkey, spearmint, dill, and onion, rolled in a grape leaf and covered in a delicious Avgolemono sauce. Starting with a grape leave, place a tablespoon of mixture at the top of a leaf. Fold over, fold in sides, and roll! Pour the chicken broth over the dolmades until they're covered. Place a lid on the pot, and bring to a boil. 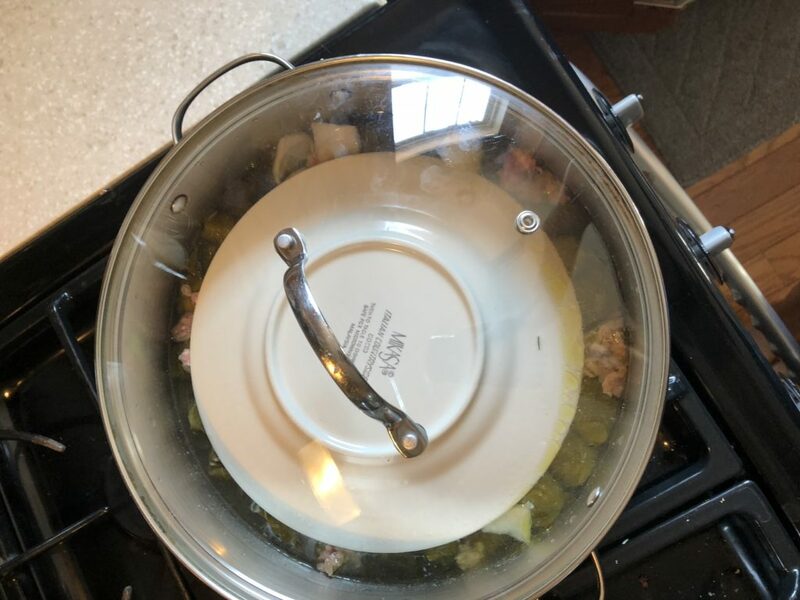 Then lower to simmer and cook for about 50-55 minutes until the dolmades are tender and the rice and meat is cooked through. Make the Avgolemono Sauce by beating the two eggs until frothy. Add the lemon juice and beat some more until combined. Add juice from the pot of dolmades to egg/lemon mixture and beat until combined. Then, add the mixture to the pan. Gently shake the pan to distribute the mixture. 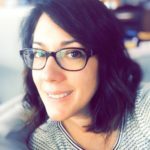 My husband is allergic to eggs…. 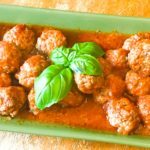 can I substitute them for something else in this recipe?